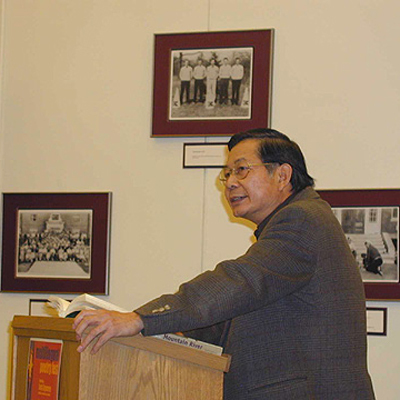 Nguyen Ba Chung is a writer, poet, and translator. He is the co-translator of Thoi Xa Vang (A Time Far Past); Mountain River: Vietnamese Poetry from the Wars, 1948–1993; Distant Road: Selected Poems of Nguyen Duy; Six Vietnamese Poets; Zen Poems from Early Vietnam; and others. He’s currently a research associate at the William Joiner Institute at the University of Massachusetts in Boston.